Call it what you may — ACO, ACE or CCO — Medicaid accountable care and care coordination initiatives are on the rise. State-supported care coordination activities, patient-centered medical homes, value-based payment arrangements and quality improvement initiatives are expected to increase steadily in 2014. Oregon, Colorado and Utah have the most established Medicaid accountable care programs, and states like Illinois and Minnesota recently legislated support as well. State Medicaid activity can also encourage a local culture that embraces private and Medicare backed accountable care initiatives. The more investment and resources that organizations put into care coordination, the greater the spill-over potential will be for local accountable care activity. 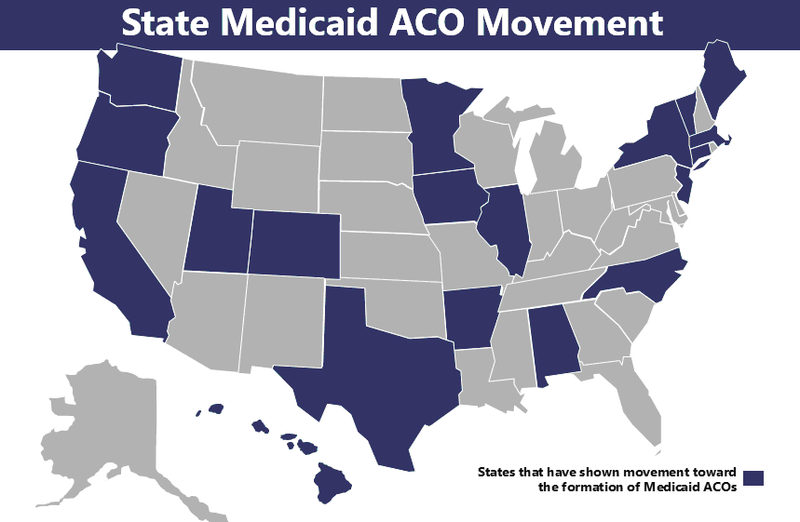 While the jury is still out on the efficacy of various State-sponsored Medicaid ACOs, few people would question the impact the Medicaid ACO movement is beginning to have across the country. Even though MSSP and Pioneer ACOs have received the lion's share of press attention, Medicaid ACOs will play a vital role in shaping local market dynamics. Douglas Hervey conducts leading-edge intelligence at Leavitt Partners on the accountable care movement through national tracking and monitoring of ACOs. He has also worked for innovation expert Harvard Business School Professor Clayton Christensen on ACO expansion and collaborated with a number of healthcare and technology startups.